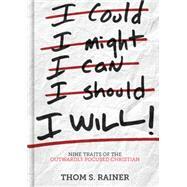 Thom S. Rainer is the president and CEO of LifeWay Christian Resources, one of the largest Christian resource companies in the world. Also a respected pastor and researcher, he has written more than twenty books, including the #1 bestseller I Am a Church Member. Rainer and his wife, Nellie Jo, have three grown sons, several grandchildren, and live in Nashville, Tennessee.